Our 5 days tour offers Tibet offers the unique opportunity to visit Lhasa, the epicenter of Tibetan Buddhist religion and rule, a visit to famous Potala - a palace of exile spiritual leader His Holiness Dalai Lama. Flying from Kathmandu (4,264ft) over the spectacular Himalayan mountain chain, we'll arrive just outside Lhasa at almost 12,000ft. We'll spend our first night in Tibet relaxing and acclimatizing to the significant increase in altitude. While in Lhasa, we'll tour the labyrinthine halls of the former winter residence of the Dalai Lama, the Potala Palace, and his summer residence, Norbulingka Palace, the seat of power over the Tibetan Plateau. We'll visit the largest monastic university in Tibet at Drepung and walk the kora around Jokhang Monastery with time to barter for goods at Barkhor Market, the heart of both trade and religion in Lhasa. We can travel just beyond the city limits to watch the scriptural debates at Sera Monastery. Morning transfer to Kathmandu airport. Fly to Gongar airport, an hour trans-Himalayan flight over Mt. Everest & Makalu is one of the most scenic air journeys in the world. A flight offers aerial view of Mt. Everest and its neighboring range. Once arrive in Gongar airport we will meet our Tibet driver. It takes 40 minutes to reach Lhasa city from airport through a well maintained highway along the Lhasa river. Once in Lhasa check in hotel. Afternoon, completely free & rest to maintain acclimatization. Our day in Lhasa begin with breakfast visit to Drepung Monastery involves truly awe-inspiring impression. Drepung monastery, the largest among the Gelugpa monasteries was founded in 1416. The Ganden Palace established within in 1530 by second Dalai Lama, was a home of His Holiness until the Fifth Dalai Lama moved to Potala. In this period the monastery used to shelter highest number of monks from 7000 to 10, 000, residential monk. Today there are around 600 monks in residence. After a break, visit of Sera Monastery, one of the well conserved monasteries in Tibet, located at the foot of Sera Utse mountains to the north of Lhasa city. The Sera is one of the three largest monasteries in Lhasa as well as one the six biggest monasteries of Geluk sect of Tibetan Buddhism. It was built in 1419. We continue our exploration by visiting Norbulingka Palace (literally Jewel Garden), the summer palace of His Holiness Dalai Lama located in the west suburbs of Lhasa, it was built in the 40s of the 18 Century. It was a resort for the 7th Dalai lama for bathing in fountain. Evening could be easily spent by strolling around Lhasa city or visiting some of the traditional pubs with traditional songs and dances. Another best day, we will visit Potala Palace the seat of Exile His Holiness Dalai Lama, comprising the private quarter of Dalai Lama and other state room and various other vital synagogues of Tibetan Buddhism. This tremendous Palace was constructed in 17th century, prior, the site was a palace of King Songtsen Gompa's (7th Century), long before the fifth Dalai Lama decided to move the seat of his Gelugpa's government from Drepung Monastery to this site. Palace consists of two main parts; the red palace and white palace. 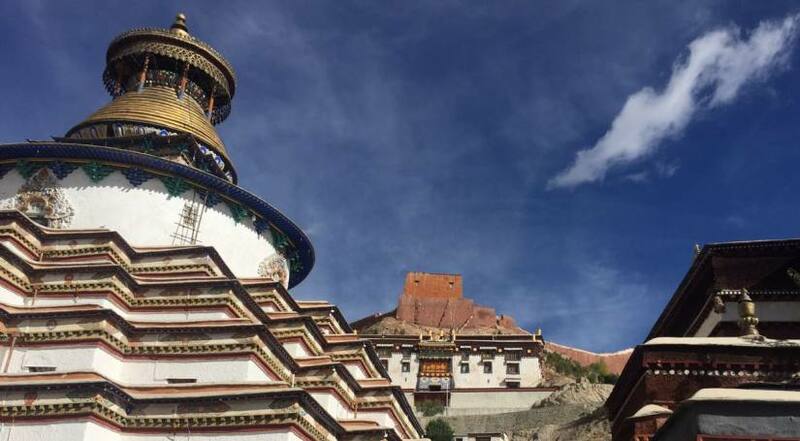 We could visit Naga temple which is located behind Potala Palace when the 5th Dalai Lama decided to re-built the Potalae Palace in the 17th Century stone and clay were taken from here. After visiting Potala palace & a break for a lunch, we will continue to visit to Jokhang Temple, considered as the most scared monastery in Tibet. It was built in 7th century. The main chapel is four storeyed building and integrates with the architectural style of Han, Tibetan, India and Nepal. Jokahang is surrounded by the central maker of Tibet- Barkor Bazaar. We will conclude our today's trip by having tea and snacks in of the restaurant of this market, discussing and recalling the each corner that we visited. Ganden monastery, 60 km east of Lhasa city was the resident of the Dalai Lama and a headquarters of the Tibetan government prior to the construction of the Potala Palace. We can still see the residence of Dalai lama at the top right of the main building. Ganden is one of the three largest monasteries and was built in early 15th century by Tsongkapa, the founder of the Gelug sect.